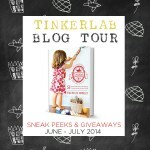 Did you get a chance to catch the TinkerLab Blog Book Tour? 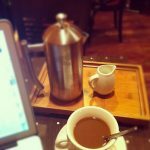 Twenty-three incredible blogs shared reviews, projects from the book, giveaways, and cool tinkering insights with their readers. 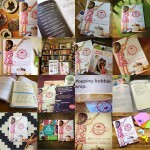 I’m so grateful for all that they shared and thought a recap would be helpful for those who might be thinking about picking up a copy of the book for themselves, or as a gift. 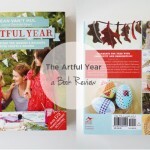 Jean from The Artful Parent, which happens to be one of the very first blogs I ever read, shares some great photos of her marked up book and a peek at a bunch of the pages. 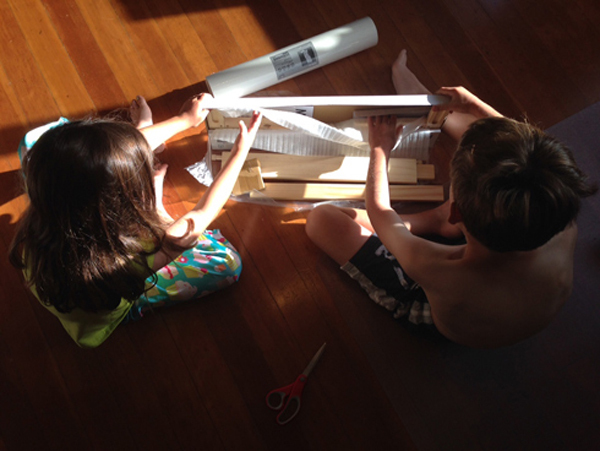 Toddler Approved shares how her kids made one of the activities from the book, straw rockets. 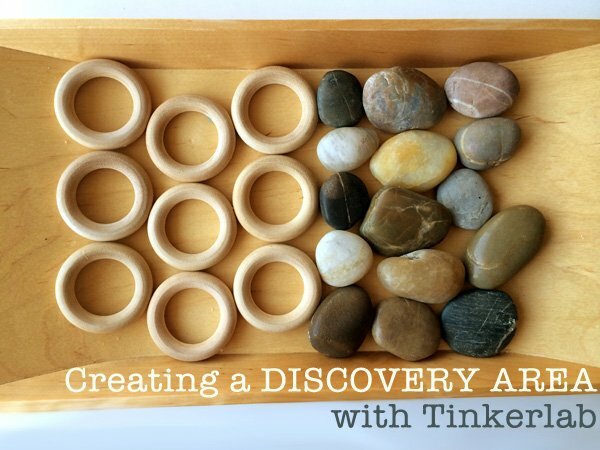 I invited a handful of Creativity and Education experts to write pieces for the TinkerLab book, and one was Parul Chandra, Head Teacher at Bing Nursery School at Stanford University. 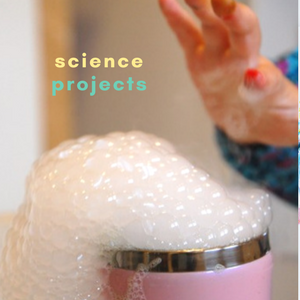 Christie at Childhood 101 took inspiration from Chandra’s interview on Discovery Areas and set up a Discovery Area in her home. This post is wonderful, and Christie shares a lot of Chandra’s interview so we can all learn from her words of wisdom. 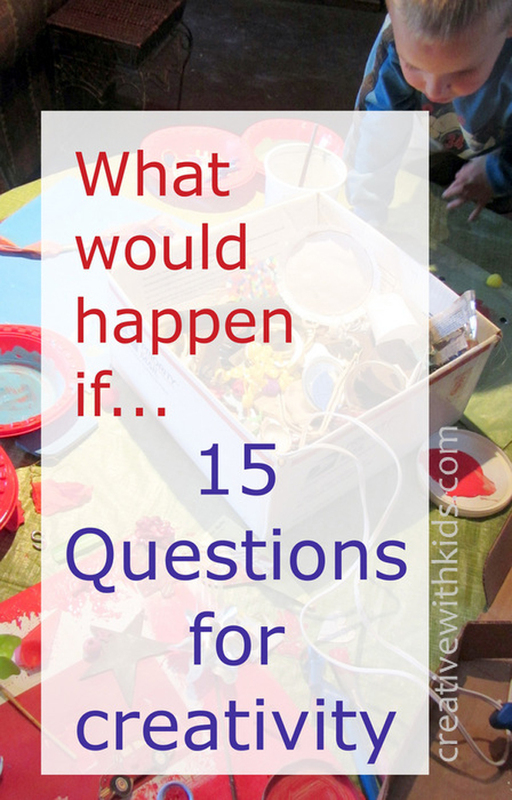 Aligned with the book’s philosophy to encourage experimentation and curiosity in childhood, Creative with Kids shares a list of 15 “I wonder what would happen if…?” questions that invite play and experimentation. So good! 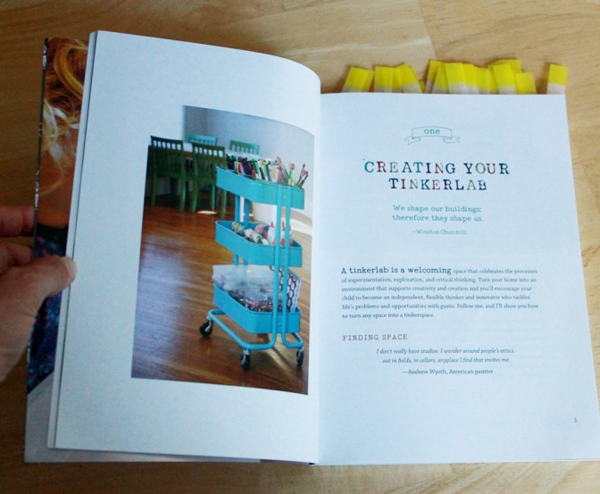 Maggy at Red Ted Art shares a whole bunch of ways that the book has inspired tinkering and open-ended exploration in her artistic home, including the set-up of their very own art trolly. 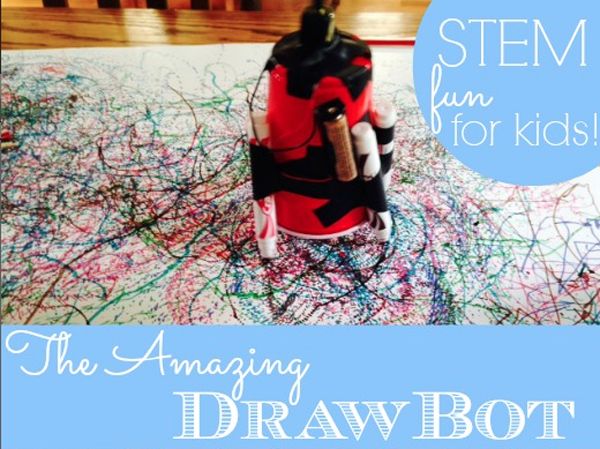 Amanda Morgan, mom to four boys and author of Not Just Cute, shared her kids’ DrawBots. Click over to her page and you can see videos of how they work. 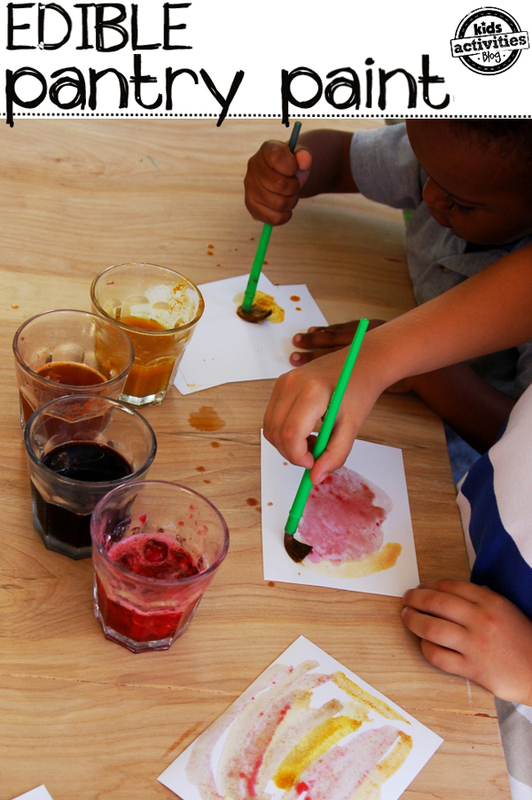 Inspired by how the book encourages experimentation, Rachel of Kids Activities Blog made up a batch of Edible Pantry Paint with her kids. 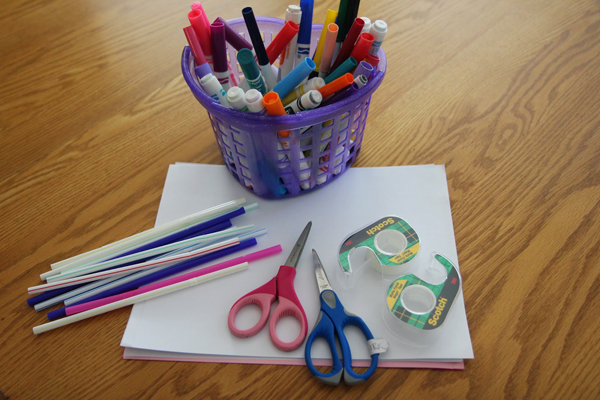 Whitney then offered her kids a selection of materials and stepped back to see what they would come up with. More here. 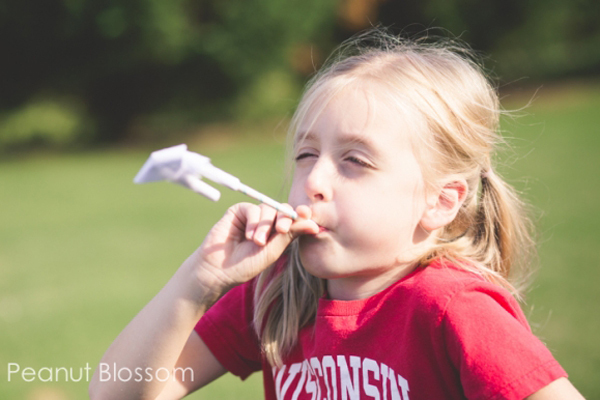 Tiffany from (the awesome spot for planning a Disney trip) Peanut Blossom, shares her kids straw rocket activity. 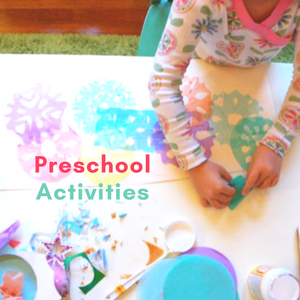 The Imagination Tree is one of my very favorite spots for Early Childhood Education ideas, and Anna shares a peek into the pages of the book with us. 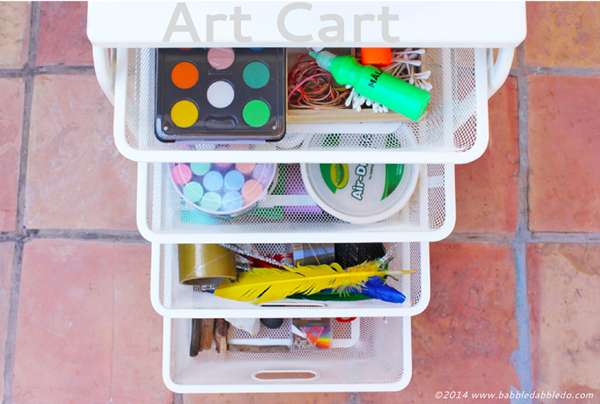 Ana from Babble Dabble Do shares her new art cart, inspired by the pages on How to Organize your TinkerLab. 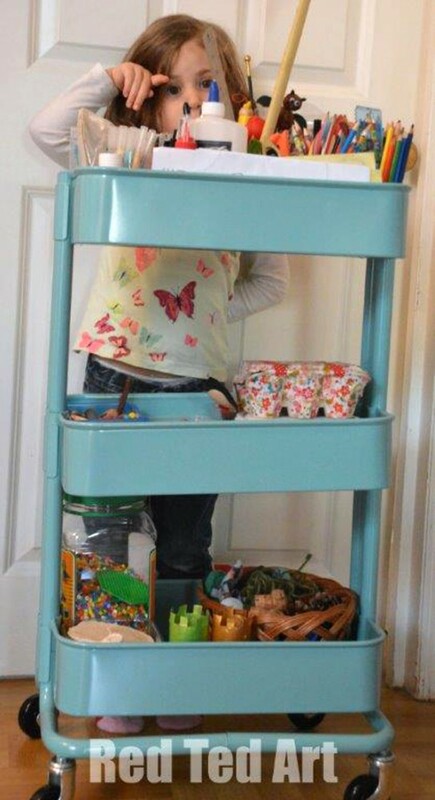 This is one of my favorite eye-candy sites, and it’s full of great ideas for little builders and inventors. 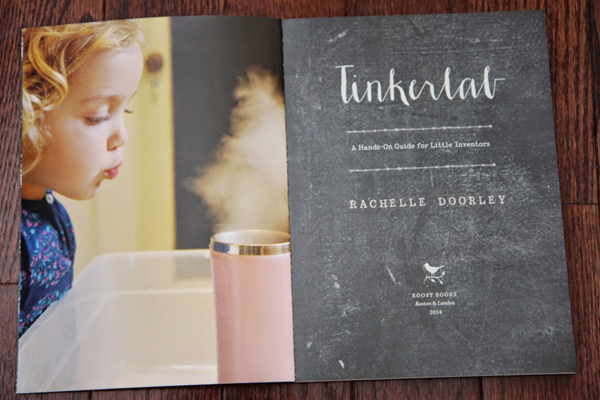 MaryLea from Pink and Green Mama has a beautiful creative space in her home, and shares how the ideas in the book align with how she’s created her home studio. 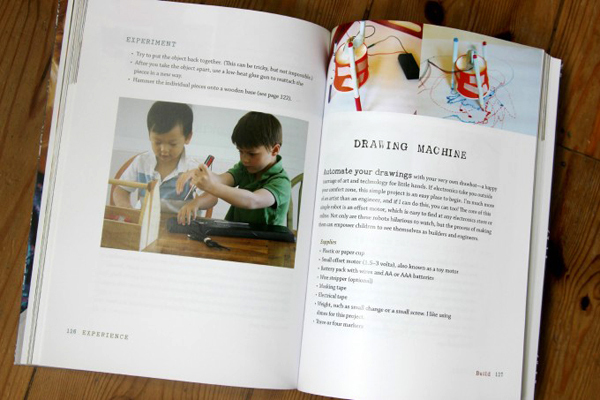 Make and Takes features the Straw Rocket activity and shares full instructions on how to make straw rockets. Fun! 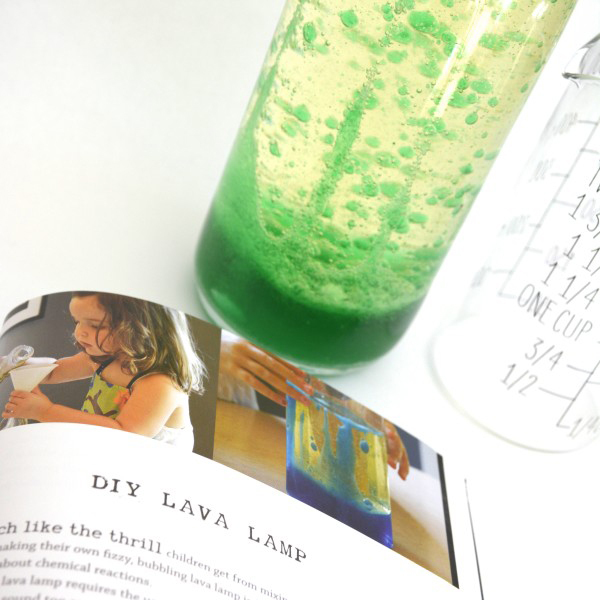 Playful Learning makes the Lava Lamp activity from the book, and shares full instructions on how to make them. 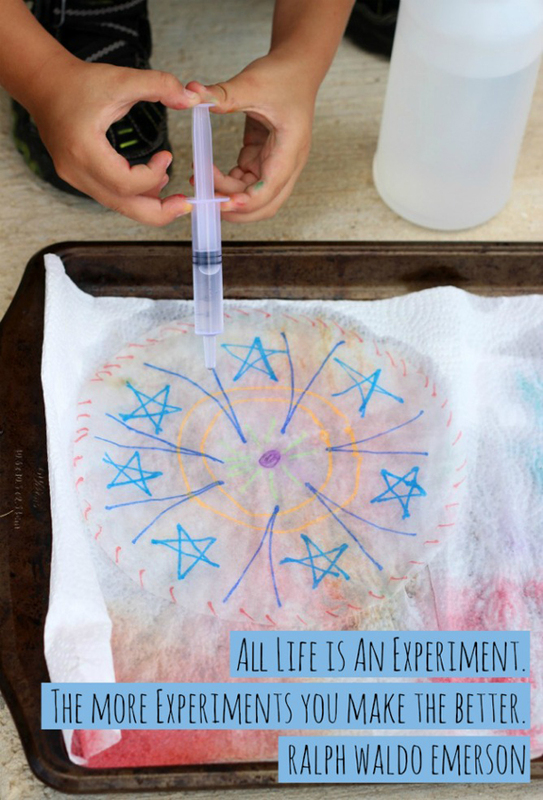 This is a really fun activity and will wow both kids and adults. 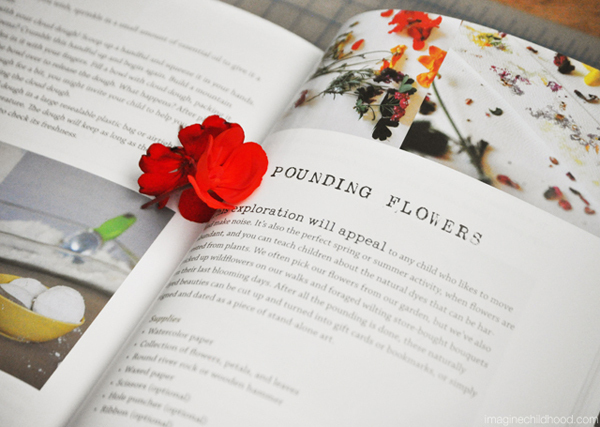 Imagine Childhood tests out the Pounding Flowers project from the TinkerLab book. 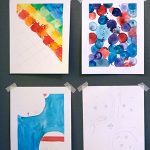 I recently ran this project at my daughter’s preschool and it was a huge hit with the kids, as they came up with lots of ways to experiment with creating colors and textures. 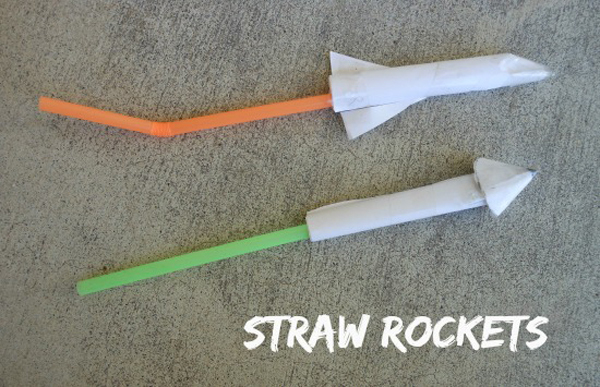 A Mom with a Lesson Plan shares all the info and directions you’ll need to create your very own straw rockets. I love how her kids invented their own rocket shapes and designs. 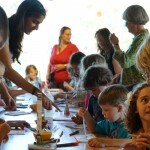 I led this activity at the Stanford Play Symposium a few weeks ago and it was a huge hit with the grown-up crowd, too! The color of this egg is spectacular. 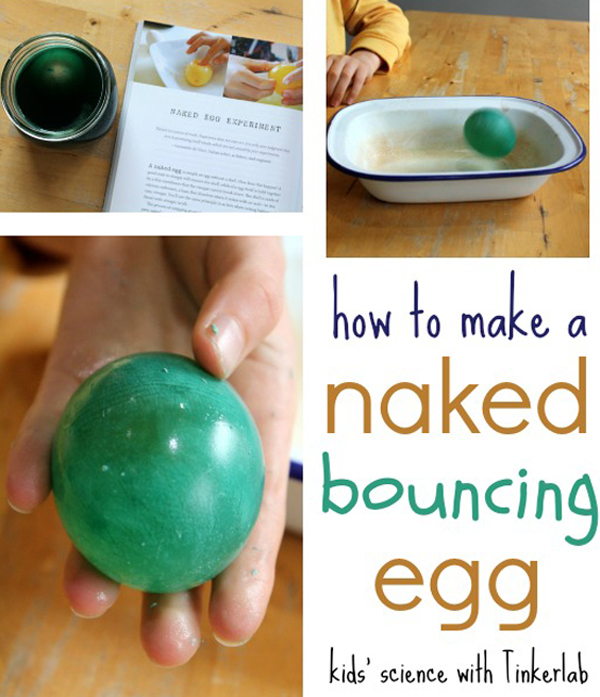 Cathy at Nurture Store ran the naked bouncing egg experiment with her kids. 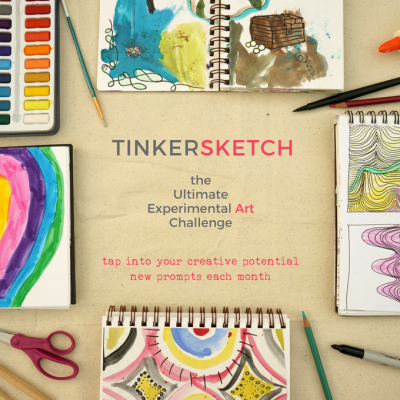 This project teaches patience, with a really big payoff at the end! 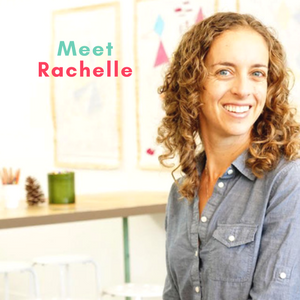 Kara at Simple Kids is the creative mom of four kids. 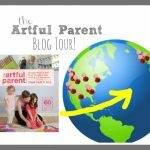 And her blog is a wondrous place for keeping things simple as a parent. I subscribe to this philosophy — how about you? In Kara’s review she shares her thoughts on the book, and she has a lot of really nice things to say. 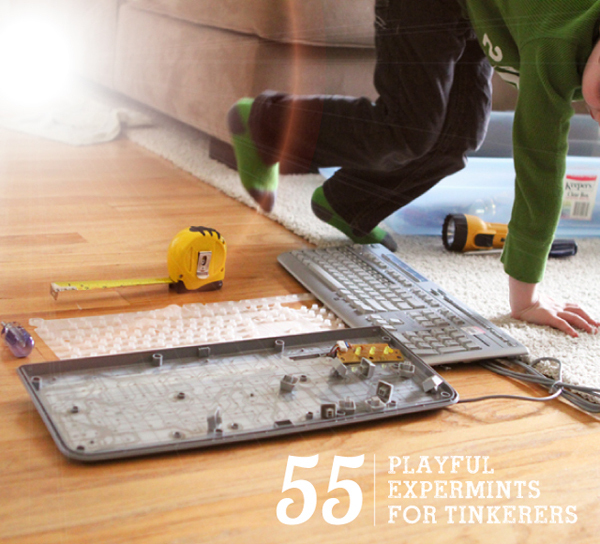 Says Kara, “Tinkerlab takes the kids craft book to the next level: beyond just amazing projects (and there are some truly unique ideas here), Rachelle goes into the hows and whys of tinkering, encouraging parents to embrace the mess (one of my personal mottos) and to see mistakes as gifts. 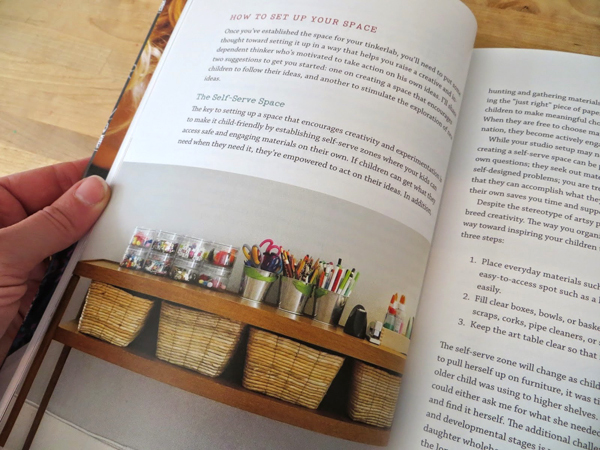 Sprinkled throughout the book, like little gems, are some thought-provoking essays by various authors that this artist/mama/maker found really inspiring and helpful. 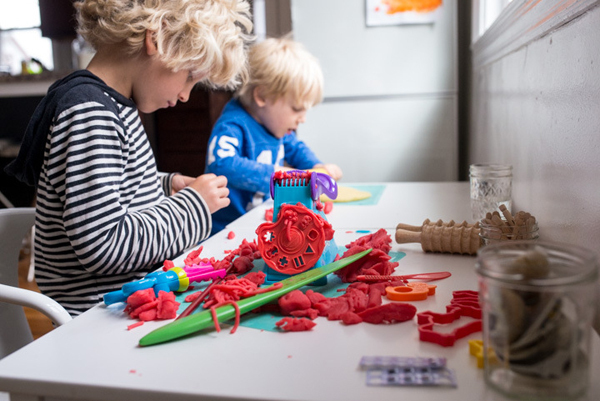 My favorite, as a parent who also strives to live simply, is the essay on the benefits of basic materials by Jennifer Winters, the director of Bing Nursery School at Stanford University.” Read her review for more. 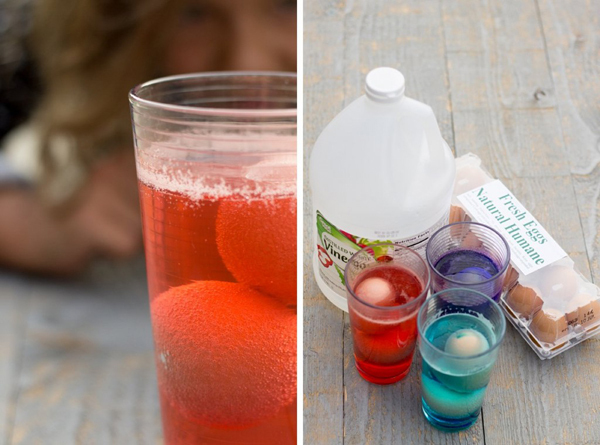 Asia at Fun at Home with Kids is a natural inventor and creates recipes for all sorts of slime, dough, and other kid-friendly supplies on her blog. 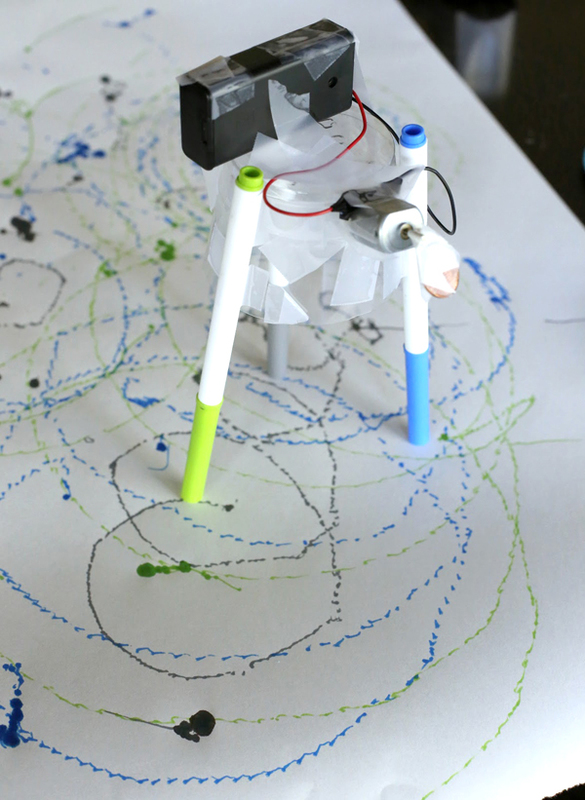 She and her kids built a drawing machine, inspired by the book’s Draw Bot, and…she’s giving away a copy of the book. Hurry on over because the giveaway ends in just a few hours! 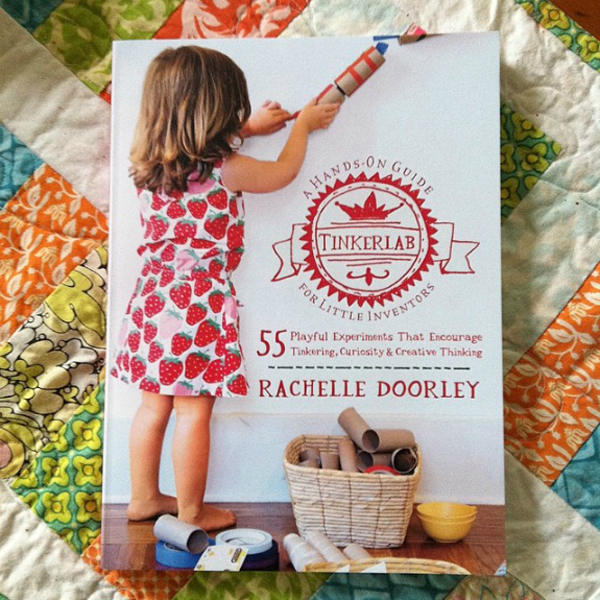 I’m honored to share that TinkerLab: A Hands-on Guide for Little Inventors (affiliate link) has been the #1 Best Seller in Crafts for Children on Amazon. I’m so happy to know that this labor of love is reaching out to families and educators in search of some creativity inspiration. 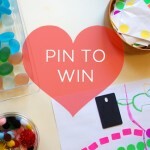 If you’ve reviewed the book or have a tinkering activity to share, leave a note in the comments. I’d love to see it! Wow!! Everyone has been SOOOO busy, thanks to your wonderful book! I love all the different takes on it. Congratulations again Rachelle! !